PHOENIX – Native American lawmakers in Arizona said Thursday that indigenous and native people are among immigrant families who are being separated at the border, and called on Arizona tribal members to join a battle to fight the Trump administration “zero tolerance” policy. Democrats said the immigration fight sprawls onto reservations, across the U.S. and into Latin America. “This is still the sacred land of the tribes, and this is still Indian country,” said Sen. Jamescita Peshlakai, a Democrat who represents Cameron in northern Arizona. She called on tribal councils and other tribal organizations to unite. “A sacred teaching we are all taught is that we have a duty to each other, to take care of one another. This is a step in that direction,” she said. 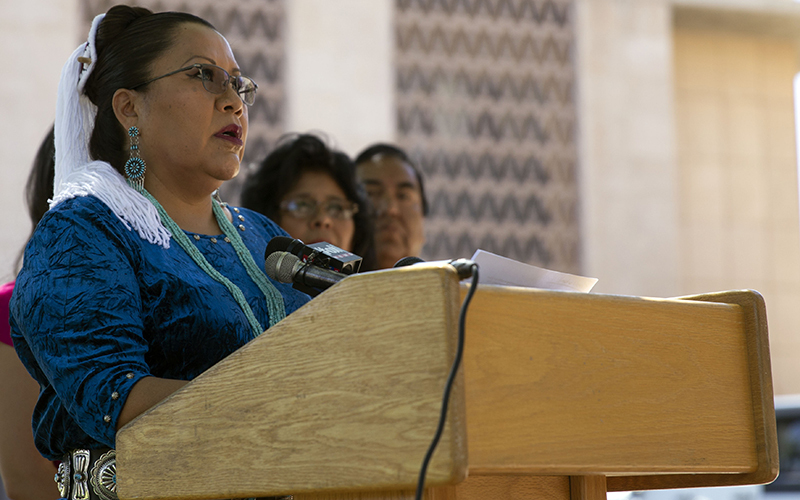 Peshlakai was among the members of the Arizona Legislature’s Indigenous Peoples Caucus who spoke at a news conference at the state Capitol, the day after President Trump issued an executive order halting his policy of separating children from their parents who crossed the border. 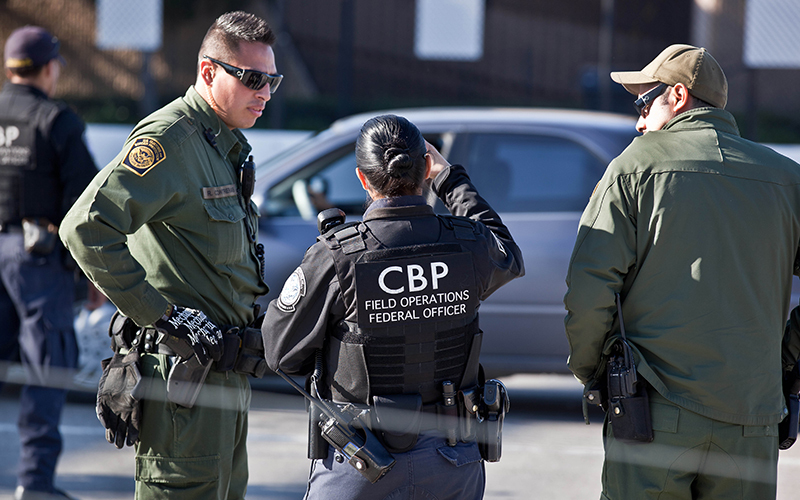 Trump and advocates for the policy had said separation was unfortunate but cracking down on illegal immigration is important to protecting the border. But four Native American leaders questioned whether that will really happen and said separation of indigenous children from their families has been going on for some time – and goes back for generations. Rep. Wenona Benally, D-Window Rock, told the story of a six-year-old indigenous girl from Guatemala, who came with her mother to the border in August. They spoke Mayan and struggled to understand the Border Patrol agents who detained and later separated them. Nearly a year later, the girl is in the custody of a U.S. relative, has forgotten most of her native language and has not seen her mother since she was deported to Guatemala, she said. The group mentioned the Indian boarding schools that were established in the late 19th century. For decades, Native American children were taken from their families and forced into institutions in an attempt to assimilate them into mainstream American culture. Today, tribal lands make up nearly 30 percent of land in Arizona, according to the Environmental Protection Agency. Some tribes, like the Tohono O’odham Nation, have lands along the U.S.-Mexico border. Gonzales said some members even live across the border in Mexico. Native American people have also encountered immigrants attempting to cross the border. Peter Yucupicio, vice chairman of the Pascua Yaqui tribe, talked about how he once had to identify the bodies of an immigrant mother and her baby who had just crossed the border near the reservation. “It is so sad to know that they were afraid of a process and the treatment and everything that they resorted to trying to get in another way, and it cost them their lives,” Yucupicio said.